It was a week-long celebration of the very best in marching music featuring exceptional performances and competitive excitement that will leave lasting memories in the minds of corps members and fans alike. From the Open Class kickoff in Michigan City, Ind., until the last note sounded off in Indy's Lucas Oil Stadium, DCI.org was on the scene reporting on events as they happened. Take a look back at this compilation of headlines and recap what you may have missed along the way. 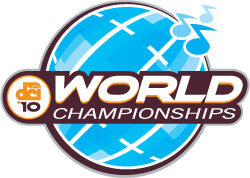 Field Pass: World Championships Week is Here! First ever Drum Corps Collectors Society Exhibition features historical displays, giveaways, and more! Field Pass: What's going on at the World Championships?